As a mum of three children, I know very well the feeling of helplessness when your child is unwell. Since using essential oils in our home, I have never felt more empowered with supporting the health of my family naturally. It's one of the greatest gifts, a healthy and happy family. - Always use certified pure essential oils. I choose doTERRA Essential Oils. - Young children should not ingest essential oils. - Always supervise children around essential oils. - Do not apply near eyes or in ears. - Watch for any skin reactions and start with one oil at a time. - For specific medical conditions, seek medical support when needed. The moment there are tummy bugs, coughs and runny noses going around, Ill apply some diluted 'Protective Blend' onto the soles of my children's feet. They are able to put their socks on over the top and this supports them to stay healthy and protect their immune system. I often diffuse this blend when there are sniffles going around too. The moment there is a cough going around, we diffuse the respiratory blend and apply is to the kids feet. This blend supports their breathing throughout the night. We often put a few drops of lavender (diluted in milk to ensure it disperses) into the children bath. This creates a relaxing atmosphere around the pre bedtime routine. We also often do lavender foot massages, which the kids find really funny but also settles them for the night. We also often diffuse the 'calming blend' in their rooms at night for sweet dreams. (warning: don't lay down with the kids when this is diffusing, as you may not get back up). We are always diffusing a range of essential oils throughout the day to support our emotions. We usually start the day with uplifting and motivating citrus oils or peppermint and towards the end of the day, swap to lavender, sandalwood and other grounding blends. During times when the kids are having difficulty with their emotions, we often use the 'grounding blend' which is amazing for the temper tantrums, or supporting the emotions of children (and adults). 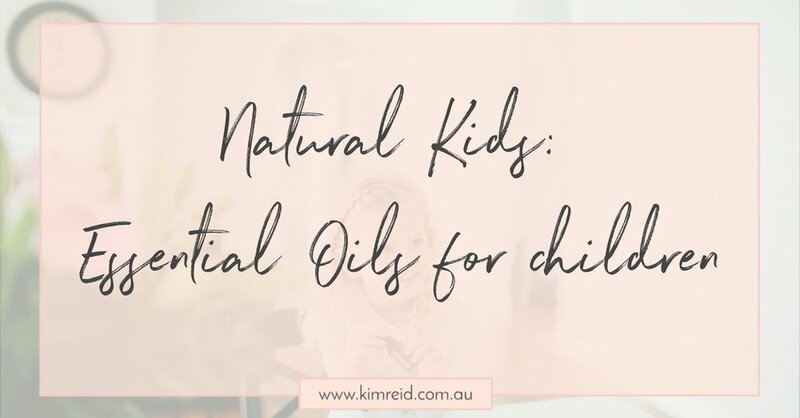 Kids generally have the occasional cuts or grazes or bug bites and lavender is the one that usually comes out to support any skin irritation. Its also amazing for any skin irritations that occur, nappy rash and for sunburn. One of the first essential oils I used was for my sons concentration. We used the 'focus blend' on the back of his neck and noticed significant changes. I truly could not imagine not having essential oils in our home to support my family. I use these on a daily basis and love that I can use these natural alternatives. For further information about the oils I use and how to order, please enter here.